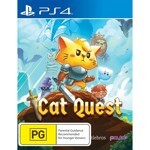 Cat Quest is an open world RPG set in the pawsome world of cats! In search of your catnapped sister you pounce into the massive continent of Felingard – a world crafted in the style of overworld maps of yore and purrrring with cat-tastic characters, stories, and puns! Explore the overworld map of Felingard! Exploration is one of the main scratching posts of Cat Quest, and with locations such as Bermewda's Tri­angle, the Furbidden Fields, and Pawt City to explore, it's time to get pawing! Discover cat-tastic characters, stories, and puns: The world of Felingard is littered with interesting places and people! 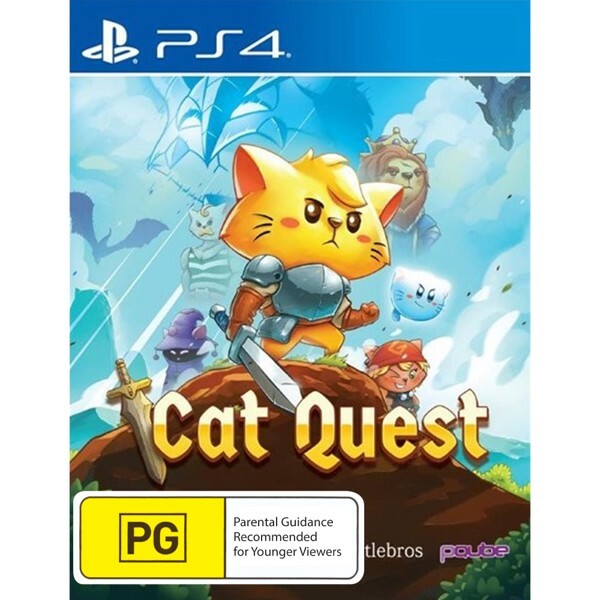 Discover a possessed town whose residents lust for obscene amounts of meat, assist the mages Mewlin and Meowgan in their search to break a magic seal, and locate someone's missing delivery of “House of Parchments” and “The Pouncing Dead”.